I’m always thinking about school, even during the summer holidays. This is when I work on my long range plans and try out new experiments for my science units. My kids are usually happily involved with this. Last week, we tried to “clean” polluted water. I have seen this experiment on several blogs (gotta love pinterest!) and this is my own version of it. Since I absolutely love The Magic School Bus, we watched the episode called Wet All Over together. It explains the water cycle and the treatment process very well. Before we do this experiment in class, I’ll also have my students do a bit of research on water treatment plants. These are great websites to get them started. I started off by sending the kids to pollute some water. I live in the country and I could easily have found pond water nearby, but I wanted this to mimic what we would do in class. Seeing as I’m still not really sure of the time of year I’ll be teaching the Habitats and Communities unit and doing this experiment (it could easily be in the dead of winter when pond water is frozen over! ), this was the best way to do it. 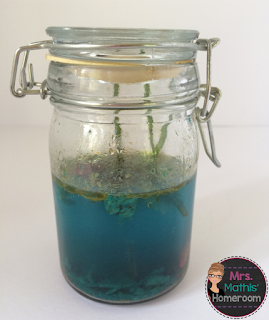 The kids filled a jar with water and added vegetable oil (oil spills! ), food colouring, dirt and rocks, carrot and cucumber peels, cracker crumbs, plastic wrappers, paper and even dog kibble. We put the lid back on and let our water rest for a couple of days. When we opened the jar, we weren’t ready for the smell. Gross! A great way to show the kids what happens to stagnant water in a heatwave! 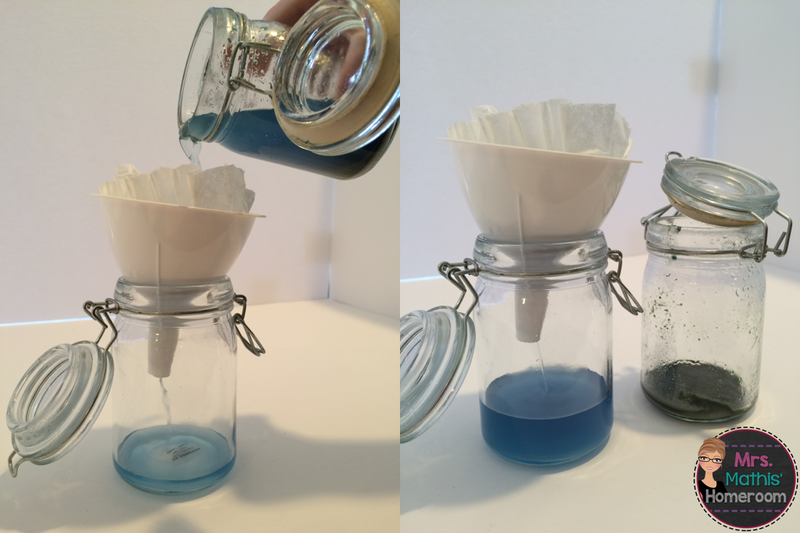 We filtered our water by putting a coffee filter inside a funnel, then pouring the water through the funnel into a second jar. That coffee filter caught a lot of “pollution”! Our water already looked much better, but it was still pretty dirty. 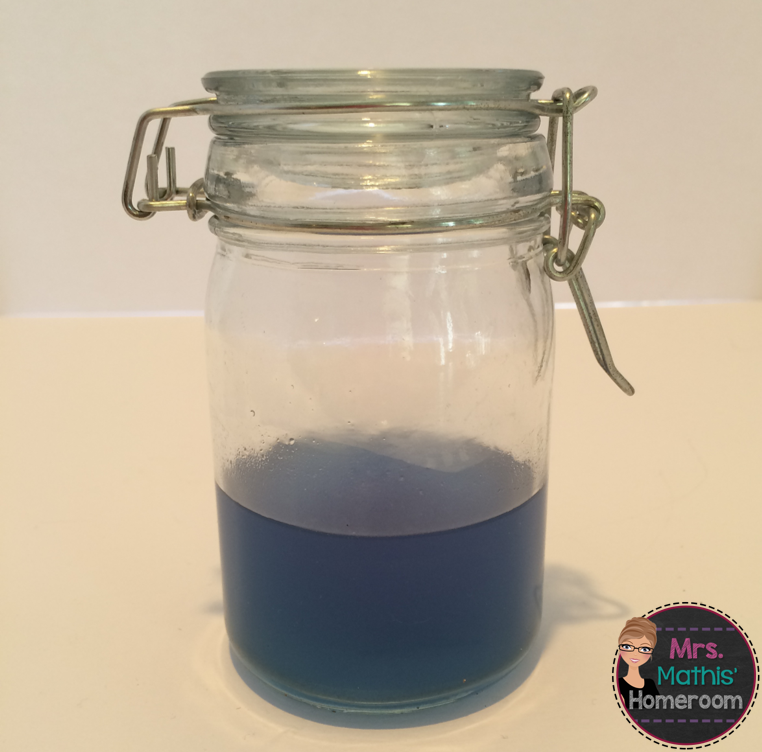 I added about a tablespoon of alum in the water, stirred it and let it rest for a few hours. The alum forms clumps with the smaller dirt and it falls to the bottom of the jar. 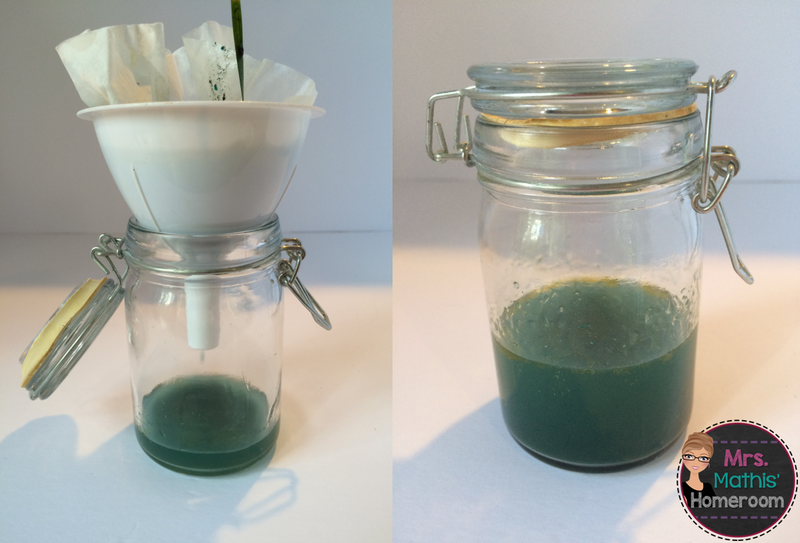 We filtered it again and we were amazed at how clean the water was! 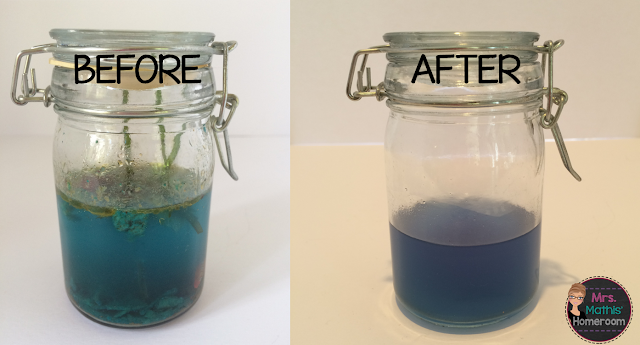 The last step was to add a bit of bleach to represent the chlorine. It didn’t change the look of our water, but it changed the smell a little. This is where the kids really realized how difficult it is to clean polluted water, because our water was still blue from the food colouring! In a real water treatment facility, there are more steps to cleaning the water before it is ready for us to drink. I like the idea of putting food colouring in there because I have some students who will probably try to drink it if I turn my back. We all have students like that, right? The colour in the water is just another reminder that it’s not for drinking. What a great way to learn about human impact on natural habitats. 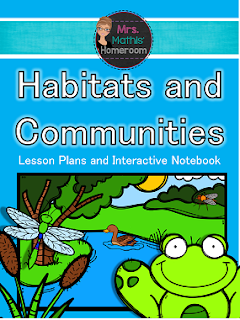 This lesson is part of my my Habitats and Communities Unit on TPT. You will love this fun and engaging unit that 6 detailed lesson plans, learning goals in student friendly language, PowerPoint presentations with beautiful photos, interactive notebook pages for each lesson, a brochure and booklet filled with information and photos, and 3 assessment choices with rubrics (quiz, research project and report). As a bonus, there are also photos of suggested notebook presentations. I can't wait to do this again with my students! Have you ever done a similar experiment? I'd love to hear about it! Nice blog has been shared by you. it will be really helpful to many peoples who are all working under the technology. Thank you for sharing this blog.